Why does it have to be so hard to understand what senior health care insurance costs really are? And what makes it so difficult to select the right healthcare plan? The difficulty is often a result of the overwhelming amount of information that is provided in healthcare insurance ads and sales materials. Information overload causes many seniors to struggle to organize details and make wise decisions. Different healthcare insurance plans offer different benefits. There are also things that some insurance companies cover while others don’t. The following information will help spare you from potentially adverse impacts of medical care on your retirement savings. Take note – we are talking about TRAVEL vaccines such as Yellow Fever and Typhoid Vaccines. These kinds of vaccines are not covered by most of the insurance companies. But, if you need tetanus shot or a flu vaccine these may be covered, provided that they are part of your preventative care. Insurance companies usually cover only those things that are considered to be medically necessary. Unfortunately, health insurance companies do not consider travel vaccines to be medically necessary. Thus, it becomes an out-of-pocket expense to you. Don’t expect your insurance provider to pay for any care you provide that would be considered “Medical Tourism“. It’s becoming more and more popular for people to travel to other countries where medical costs are lower or where treatments not approved in the US are offered. Rules may vary from state to state, so the coverage of alternative therapies depends on where you live. This is because each state has a different definition of what an“essential health benefits package” is. For example, if you need to undergo chiropractic treatment as part of your rehabilitative care, then it will most likely be covered by your insurance company. But, if you decide to undergo chiropractic treatment just because you feel good about it then this will not be covered by your insurer. It is important to note that it is highly unlikely that all of your chiropractic visits will be covered. There is typically a limit as to the number of visits that are included in coverage. For example, some insurance companies only cover ten to thirty chiropractic visits during the course of a year. Original Medicare does not cover treatment for acupuncture. But, it covers “medically necessary” chiropractic treatment. But, if you signed up with a Medicare Advantage plan chances are your acupuncture and chiropractic treatments will be covered. A survey was conducted in order to find out which companies cover costs for alternative therapies. The results showed that out of 18 companies surveyed, only 14 of them provide this type of coverage. These companies offer to cover 34 types of alternative therapies. Some of the insurance providers that were included in this survey include Prudential, Aetna, Kaiser Permanente and Medicare. Aetna is among those companies that cover alternative therapies only if there are studies and evidence to prove its safety. It is also important that the effectiveness of the chosen alternative therapy is based on peer-reviewed medical literature. Don’t forget to provide your insurer with a statement of medical necessity. You must obtain this document from your primary care physician. The coverage may also be limited only to a certain number of visits or cover only some of the services the healthcare provider offers. If you decide to undergo cosmetic surgery just because you want to look better, know that it will not be covered by your insurance company. However, if you need to undergo reconstructive breast surgery after your mastectomy then it could be covered. What is important is that your doctor authorizes such surgery and sees it as medically necessary. So, the key here is the magic phrase “medically necessary.” The next time you ask whether your health insurance covers something, remember this magic phrase – Is it medically necessary? The costs of standard nursing home care would not be covered by most commercial health insurance plans. This is when the help of Long Term Care Insurance is needed. However, if you’ve got Medicaid then chances are some costs will be covered. Your health insurance may cover short-term health care costs. For example, if you are advised to stay in a skilled nursing facility because you have a broken hip. As long as you stay there for just a short time because you need temporary skilled nursing care, then you are most likely covered. Another reason is that these injuries are considered to be a “medical accident.” But, there is also a limit to the number of days that you can stay in the skilled nursing facility. Remember that you are staying there for the main purpose of recovering from an injury or a certain illness. If you stay there because of chronic illness, you are not covered. For vision, hearing and dental services, you will almost certainly need to purchase a separate health insurance plan. However, it is sometimes not worth it to pay for a separate insurance plan just for these services. This is because for example, a dental cleaning service will only cost $110, two times a year in your state. So, it is not really worth it to pay for your monthly premiums for an insurance that promises to cover such services. Otherwise, you end up paying so much more for your insurance than what you are actually paying for these services. If you’re a senior who plans to undergo bariatric surgery, make sure you’ve read everything in the fine print. Although Medicare and Medicaid covers bariatric surgery there aren’t any federal requirement that private insurance should cover it. But, not all types of weight loss procedures are covered. Thus, the need to read the fine print in your policy so you clearly understand what is covered and what is not covered. The rules are quite complicated in terms of preventative care. Colonoscopy, mammogram and cholesterol screening are covered. But, things like PSA or Prostate Specific Antigen screening and Vitamin D testing are not covered. This is because at times not enough evidence is provided to prove that one needs to undergo such preventative test. As a result, some health insurance companies turn down requests for coverage. Prescription medications are part of “essential health benefits” so they are usually covered by health insurance. However, seniors must still read carefully the list of medications that are covered by the insurance. This is because not all drugs are covered. In most cases insurance companies only cover one medicine for each class. Some companies only cover generic drugs but not the branded ones. It is best to have a list of specific drugs or drug classes that your health insurance covers. Check out the list of drugs called “formularies” in your health insurance doc. This way, you will know which drugs exactly are covered and which are not. Are you using Medicaid? Well, Medicaid also has limited coverage. So, before you believe that Medicaid covers almost everything, make sure you have complete knowledge of what’s really covered. For example, did you know that Medicaid does not cover private nursing services? It also won’t pay for the services that a family member may provide you such as caregiving. Disposable things such as bandages and adult diapers are also not included in the coverage. Chiropractic treatment and cosmetic surgery costs are also not covered by Medicaid. Make sure you know what’s really covered. Some insurance providers such as Medicare will cover more than 50 percent of your health-care costs during retirement. However, this does not come for free. Of course, you have to pay your premiums first to be eligible for such benefits. For Medicare, those who are paying for Parts B and D are the ones who are entitled to this benefit. Medicare Parts B and D will also cover a senior’s prescription drugs and visits to the doctor. Do not forget to read your insurance provider’s policies. You should know which pharmacies are part of your insurer’s preferred network. Also, ask your insurance provider if a mail-order pharmacy could provide you with better benefits. Some people are very conscious about saving enough for their future health care costs. However, they overlook the importance of investing more for things that help keep them in good health as they age. Gym memberships and organic foods are good investments! Adhering to healthy lifestyle habits may prove to be a short term added expense, since organic foods are way more expensive than non-organic foods. However, these costs can be seen as an investment in your good health since wholesome food and exercise can help spare you from the eventual costs of having a chronic and serious disease later in life. Also, remember to take advantage of the “free” yearly immunizations which are included with most insurance policies. Don’t miss out on getting immunizations for flu, pneumonia and shingles every year. Anticipate future health care costs. One of the best ways to make sure you’re prepared for future health related costs is to have savings goal. This way, you will have at least the basic idea as to how much you should be saving for your own future medical costs. You can do this by using an online tool that helps you determine how much you should be saving for your health care needs. Check out HealthView Services and AARP’s Health Care Costs Calculator. If you know you will be using a medical equipment only for a short time, do not buy right away. Think about borrowing it from lending programs that are available in your community. Community medical lending programs may have wheelchairs, crutches, bath aids and walkers. You can borrow these either for free or at a very low cost. These equipment usually come from people who no longer need the device. There are a lot of lending centers who cater specifically to seniors. Ask your local senior center for this kind of services. You may also check out the Commission on Aging center in your area. Be wise when doing healthcare shopping. Don’t fall into the trap of using healthcare dollars to pay your out-of-pocket expenses. If you want to save, be a smart shopper. If you’re seeking regular treatment and other health services, take the time to shop around. Do the necessary research to find the best service or treatment for a lower cost. Shop around if you need to undergo laboratory screening or getting an MRI. These can cost less at a radiology center than at the hospital. 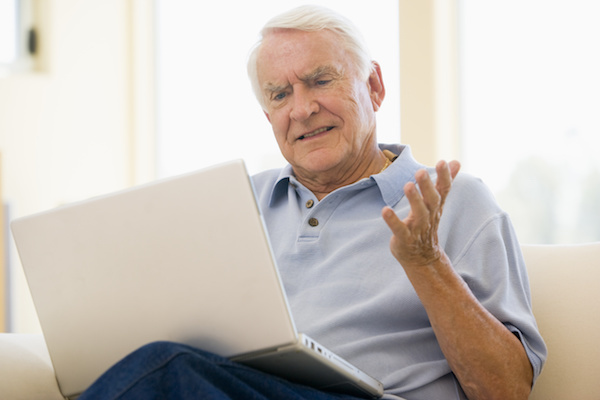 Many seniors find healthcare terms confusing. This is not uncommon especially since some terms really sound foreign. If your doctor utters a word which you do not understand, do not hesitate to ask. It is best to understand these terms now while you are still healthy enough to do so. It can be very daunting to memorize these terms when you’re in a hospital bed. This refers to a flat fee that you have to pay when you need to see your doctor or undergo lab tests. This is a fixed amount that is predetermined by your health insurance provider. By requiring a co-pay, the policyholder and the insurer share the amount of health care costs. Copays usually cost only a fraction of the actual cost of the actual medicine or service provided. This refers to the amount that you have to pay before your health insurance shoulders the bigger portion of what remains in your hospital bill. For example, if you have $1,000 deductible, you have to pay this amount before your health insurance will cover 100% of the costs. Your deductible resets annually. If copays are fixed rates that you have to pay, coinsurance is just a percentage of the total cost that you have to pay. This is the percentage of the amount that you will pay once you have maxed out your deductible. If your health insurance states that your coinsurance is 20 percent, the remaining 80 percent of the bill will be covered by your insurer. This is the maximum amount that you can pay out-of-pocket in one year. Once you have reached the maximum out-of-pocket costs, your insurance provider will be the one to shoulder one hundred percent of the remaining total bill. Understanding these healthcare terms can spare you from confusion down the road. Knowing these terms helps promote better communication between you and your health insurance provider. It will also help make it easier for you to understand what your physician says about healthcare coverage.